on did very little work for Marvel Comics, spending his first two and half years as a pro at Charlton and the majority of the rest of his career at DC. But like many aspiring comic artists, Don wanted to work at Marvel for many years. Don's friend Howard Siegel was also an acquaintance of Roy Thomas, at that time an editor and writer at Marvel, and Don was always asking Howard to help him get connected at Marvel through Roy. Some of Don's earliest comic book pages were samples he made for Howard to show to Roy, and they were of a Marvel character, Captain America. Since Don was promoting himself as a penciler, he did not ink these sample pages. As such, the two pages we have are some of the only remaining Don Newton pencils in the world. Of the four pages Don did, we only have two of them to share with you. We do not know what happened to the other two pages, but we do know that Don submitted Captain America pages to Nicola Cuti when attempting to get work at Charlton in 1974 (although I have a feeling those may have been only copies of the originals). Don drew these pages very large on 14x20 inch bristol board, which complicates getting a good scan of them. I tried many different processes to get good copies, but the one that worked best was just scanning in parts of the page and reassembling them in my paint program. The result is not perfect and I may make one more attempt a little later on, but I don't own this artwork and I have to at some point just "go with what I have." Further hindering scanning is a sheet of plastic that has been placed over the first page in an effort to protect it from aging. I cannot remove the plastic and it does cause distortions in the scan. Even given the above, what we end up with is a fine example of Don Newton's pencils a few years before he turned pro and a real Art of Don Newton exclusive. I guarantee you have never seen these pages anywhere before (except maybe in the home of Howard Siegel). The amount of detail Don put into his pencils is unusual in the business, but not unusual for Don. His pencils were very detailed throughout his entire career. This was the only way he was assured his artistic vision would come though. 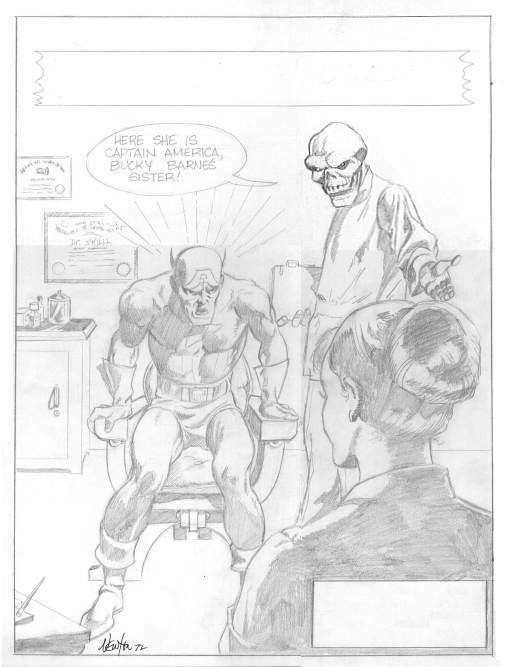 In the final page of Don's sample, the Red Skull reveals that he has Bucky Barnes' sister in his clutches. When Don began working for Charlton, he saw Charlton as a stepping stone to Marvel. Shortly after his first two horror strips appeared at Charlton, Don asked Howard to show them to Roy. Don made his request in his own style, with much humor and grace as the accompanying letter from Don to Howard will attest. Don never pressured Howard to do anything. Howard genuinely wanted to help his friend. Don was very worried, and Howard shared his concern, that as long as he lived in Arizona he would have a hard time breaking into comics, at least at the big boys (Marvel and DC). 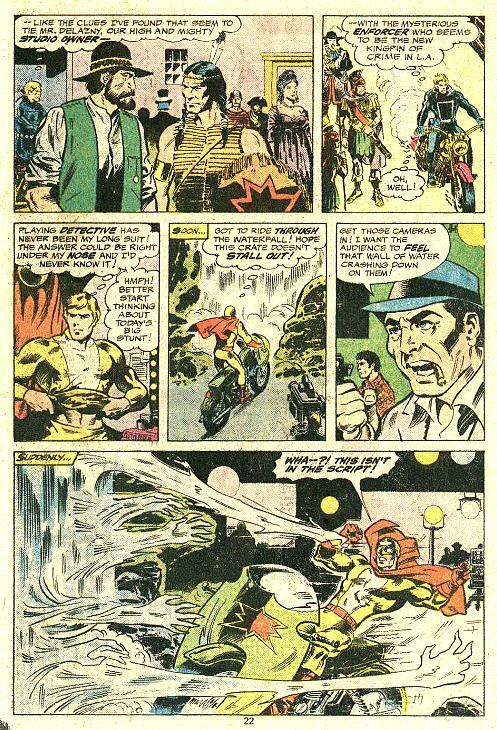 However, while still working for Charlton, Don did do work on the Giant-Size Defenders #3, January 1975. This work came not through Howard Siegel and Roy Thomas, but rather through another friend, Dan Adkins. 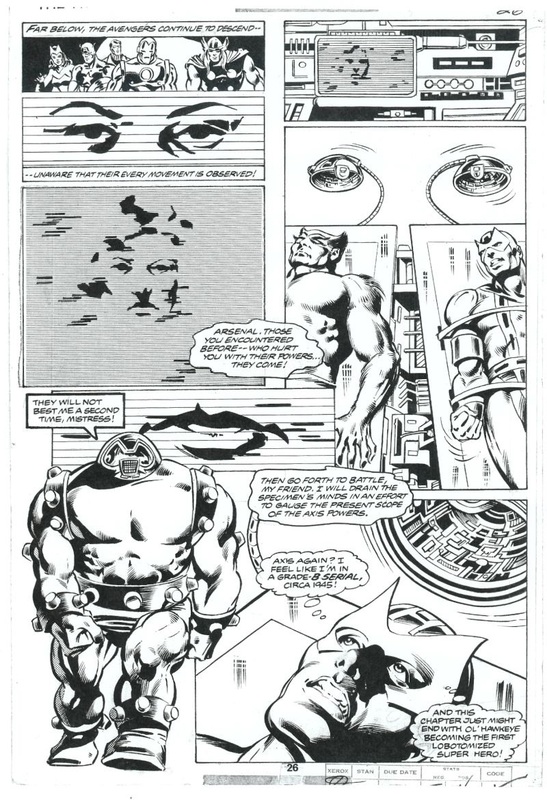 Dan Adkins had been given the 32-page story to pencil and ink over Jim Starlin's layouts and was way behind schedule. With about 10 days left to complete the strip, Dan had only completed 4 pages and asked for Don's help. Don, who had tried unsuccessfully for years to get work at Marvel, said he would do the work, but only if he got a credit line. Marvel agreed and Don went to work. In all he penciled 12 pages (14-19, 31-36, and 38) [note that Marvel numbered all pages in those days, not just the ones with story so that the 32 page story actually ended on page 44] and also penciled or inked panels on page 39 and 44. Although he was supposed to follow Jim Starlin's layouts, Don once said he "wound up erasing 90% of his [Starlin's] stuff." Anyone who has seen the book can see that the pages Don did show little or no Starlin influence. When looking at Don's pages and looking at the rest of the book, it is hard to understand why Marvel did not jump all over a talent like Don's. Dan Adkins was surprised by Marvel's reaction as well, "I thought his [Don's] pages better than my own finishes as well. Marvel did not, which I never did understand. John Romita Sr. never liked Don Newton's stuff. He said he was a "Classic Illustrated" artists, not a Marvel one." 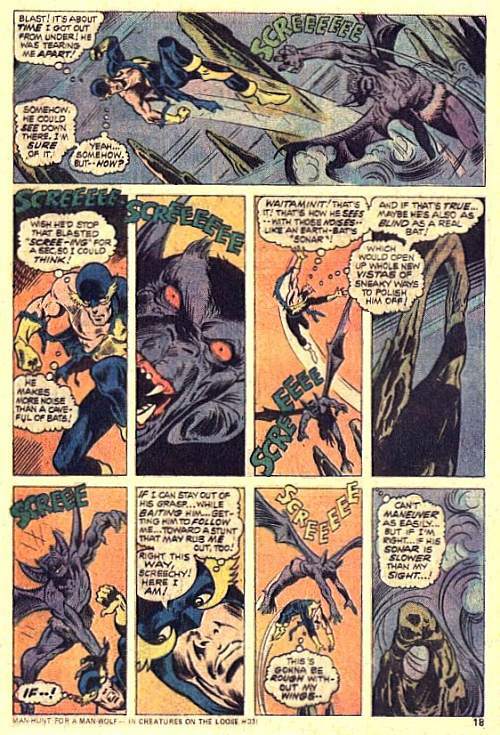 Page 16 from Giant-Size Defenders #3 clearly shows the hand of Don Newton, particularly in the four-armed demon in panels 1 and 3. On page 18 of the same book Don's version of Nighthawk and the bat-like demon he fights is really wonderful. This is clearly the work of Don. Around this time Don did some other inking for Marvel that they did not even know about. Don inked three pages of backgrounds in the Deadly Hands of Kung Fu #1 black and white book. Don identifies them as pages "65, 67 and some of 68." If folks from Marvel read this it might well be the first they have heard that Don Newton did work for them in 1974. As Don said then, "Wouldn't Marvel be surprised if they found out I was working for them?" 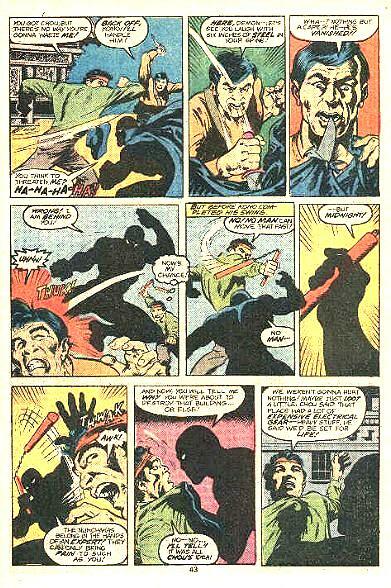 The story in question is a Master of Kung Fu, written by Doug Moench (one of my favorite writers), penciled by Mike Vosburg and inked by Dan Adkins. The backgrounds are so minimal it is impossible to tell that Don had anything to do with them. I think Carsten found our pages! We are presenting an entire six-page sequence here, with Don's background inks being either pages one and two or two and three of the sequence. 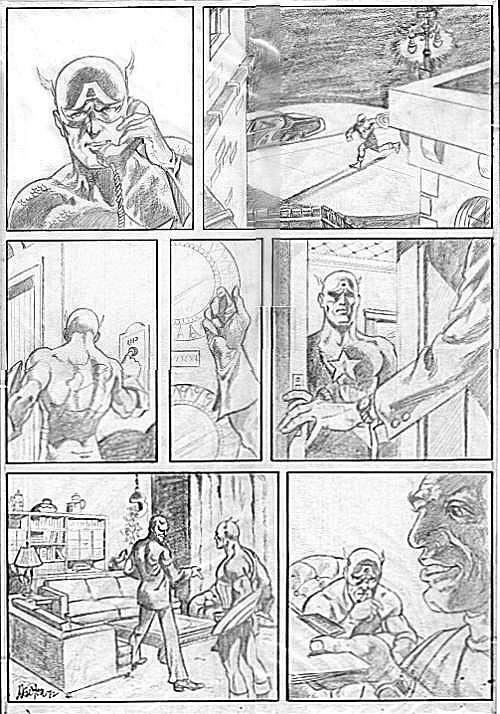 We believe the last page contains the Newton penciled face in panel 2.This is certainly not great Newton work, but we are nothing here at The Art of Don Newton if not completist. The last of the unknown Marvel inking assignments by Don may be quite interesting. "I also did considerable work (or rework) on a Mike Vosburg job recently...it's also a Kung Fu." All of these appear to have been in 1974, while Don was working for Charlton and while Dan Adkins was living in Phoenix. Once Dan moved back to New Jersey, the inking assignments for Don seemed to have dried up. 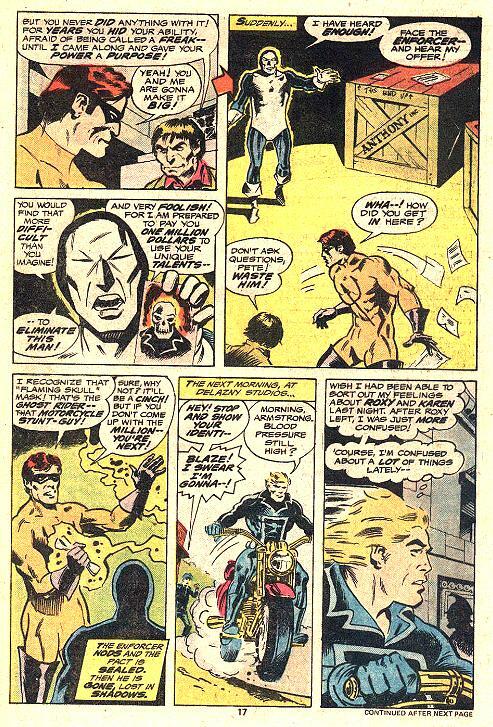 By 1975 Don was hard at work on the Phantom at Charlton and when the call from Marvel, the call he had been waiting for for years finally came, Don found he no longer desired to work for Marvel. 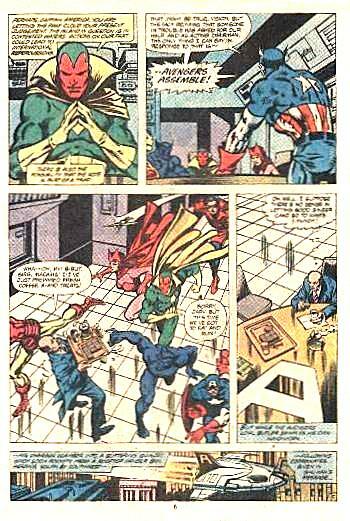 In March of 1975 Roy Thomas approached Don about penciling The Liberty Legion. Don turned him down. "Rascally Roy wanted me to draw the Liberty Legion...characters like: Red Raven, Thin Man, Blue Diamond. Funny; when they want me, I don't want them. Remember when it was the other way?" Don also did a frontispiece for the Savage Sword of Conan #6, June 1975. This is a black and white printing of a painting by Don. 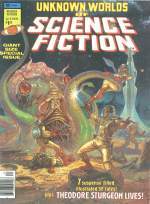 In early 1976 Don did a single painting for Roy Thomas which became the cover of Unknown Worlds of Science Fiction Annual #1. Roy was very impressed by Don's work on this cover and mentioned that he was saddened by the fact that he would most likely not be allowed to use such a great talent again due to Don living in Arizona. With all of the magazines Marvel was publishing at the time, Don could have kept them supplied with amazing covers for years. How this fact reconciles with Roy offering Don the Liberty Legion the previous year, I don't know. 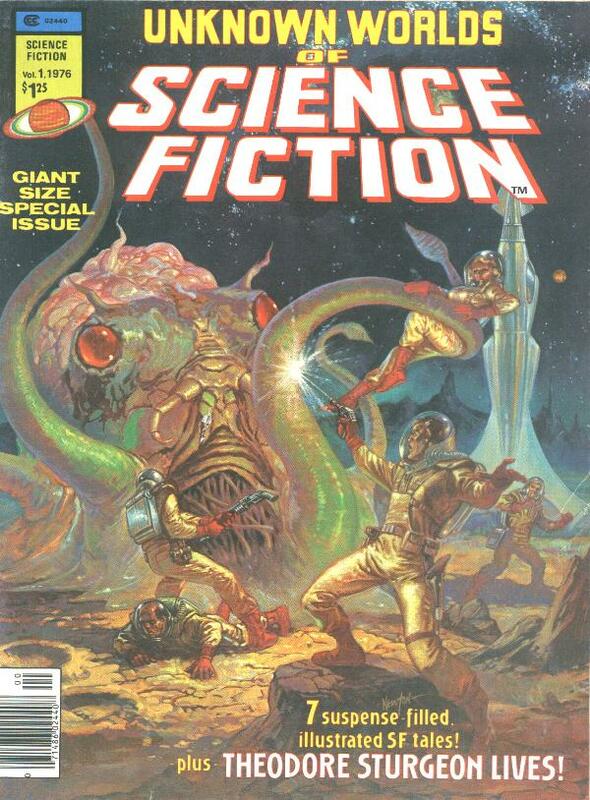 Don's only painting for Marvel became the cover of Unknown Worlds of Science Fiction Annual #1, 1976. Then a few months later, Don got what he had hoped for: more painting work from Marvel. 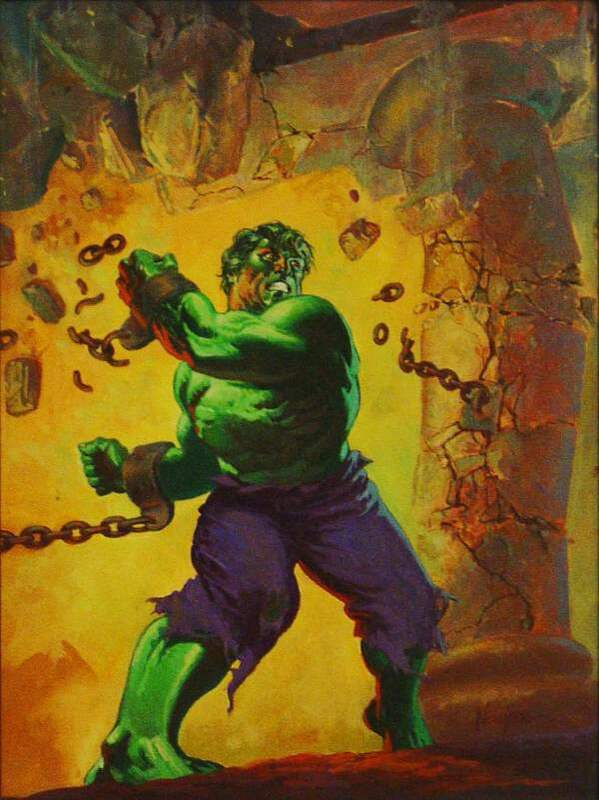 Don did the cover for Marvel's The Rampaging Hulk #3. This is a beautiful example of Don's painting style. Don's wonderful cover for The Rampaging Hulk #3 and the original painting for the same. OK, you got me. This is a mock-up of a book I created using a painting of Don's that I am very proud to own. Marvel really missed the boat on this one. It would have made a wonderful cover. OK, I lied. The above cover is a mock-up that I made based on a painting by Don that I bought a few years ago. 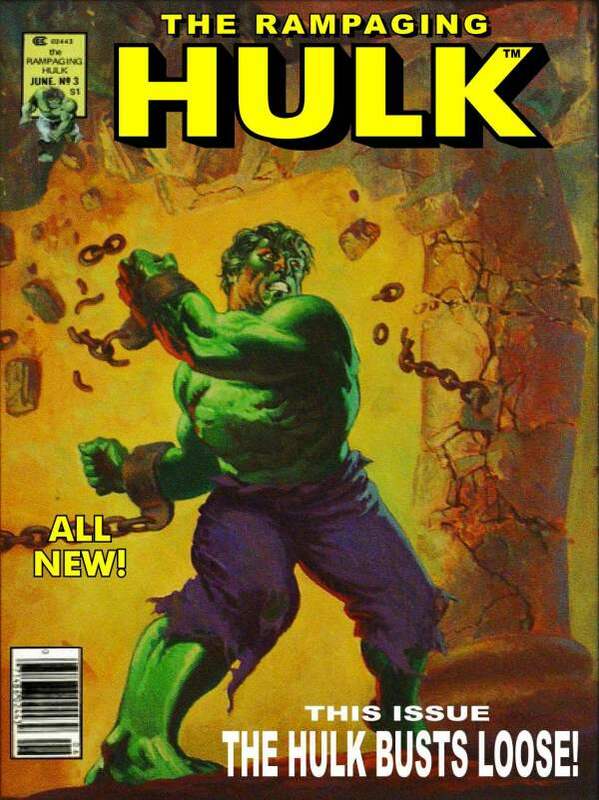 Don's friend Jay Willson remembers the painting fondly, "It was Don’s attempt, through Dan Adkins, to get cover work for The Rampaging Hulk magazine, and to impress the Marvel brass. Unfortunately, it did neither. John Romita never seemed to like Don’s stuff back when Don was starting out." In June of 1976, the roof caved in on Don; Charlton cancelled the Phantom. Don wanted desperately to get work at DC, but the doors there were shut tight. After working so hard to make the Phantom a book about the interaction a characters rather than "17 page fights," Don did not look happily on the prospects of working at Marvel. 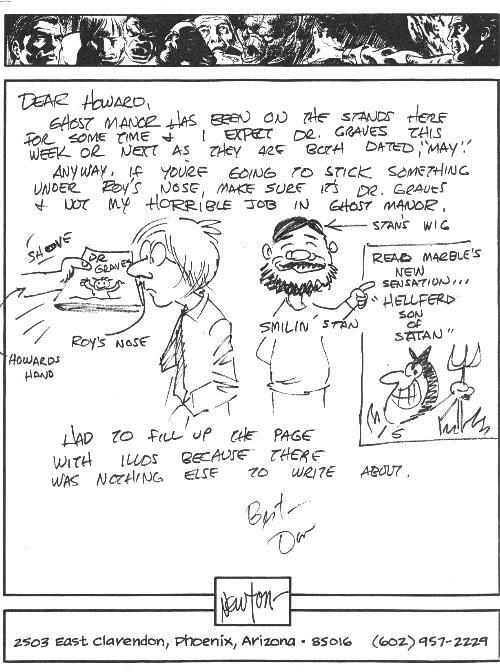 In a letter to friend Howard Siegel, you can see Don's frustration, but you can also see how he used humor to diffuse the pain and what must have been the fear of an artist out of work. Two pages of a letter from Don to Howard Siegel shortly after learning that the Phantom had been cancelled. Don bemoaned that fact that he may have to "adapt" his style to fit in at Marvel. Of this time Howard Siegel recently wrote, "Marvel was reluctant to give Don any work because Stan Lee had a policy of wanting the hired help to live locally, where and when he could control their output. I'd visit Marvel about once a week when my office was located two blocks away from them on Fifth Avenue in Manhattan. "Bullpen" was the correct description of the penciler-inker-colorist enclave. High school graduates and college hold-offs buzzed around seemingly doing nothing. At that time Roy Thomas was the de-facto editor and was quite impressed with Don's work, particularly the four page Capt. America pencils. He convinced Stan that Don should be given some work, but it was uninspiring assignments that were few and far between...The Marvel experience did have a plus side though. It gave Don resume credits that led to his DC work. I remember showing Roy Thomas the Conan painting Don did, and Roy said something like, "He'd be perfect for the magazines we're going to publish. Too bad I can't use him." Don did do some credited early inking at Marvel, but this was at a time when both DC and Marvel were changing formats rapidly. That is, paper and printing costs were rising and both companies where raising their prices on a regular basis, trying to find a happy medium between pricing and page count. The end result is both were looking for new artist and both were trying to fill books that had suddenly grown in the number of pages since the story/artwork had been commissioned. As a result, filler strips of 5 to 10 pages were popping up everywhere. Marvel took this as an opportunity to tryout new artists. They used Don as an inker. 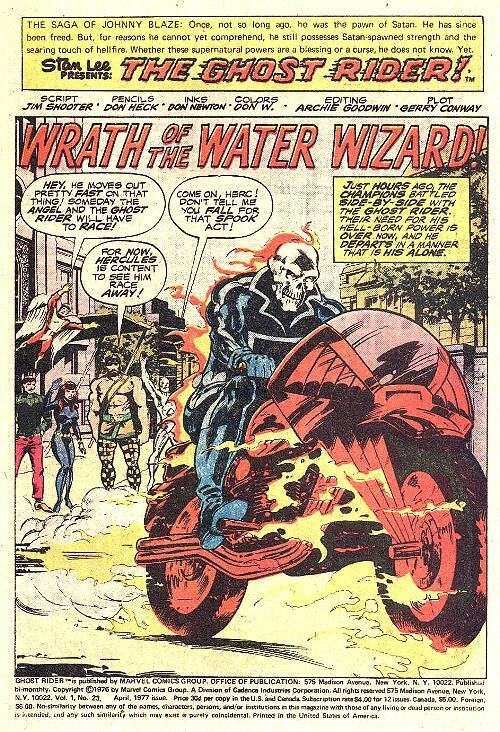 Don inked the April 1977 issue of Ghost Rider, #23. The book had a plot by Gerry Conway, script by Jim Shooter, and pencils by the late Don Heck. Heck had been around for years, but was never a fan favorite. More than one fan referred to him as "Hack" rather than Heck, but Don Heck was a very competent penciler, he just wasn't very exciting. However, if you want to get an idea of what Heck was capable of, look at issue #64 of the X-Men that he did in the middle of Neal Adams' run on the strip. Heck stepped in and did his darnedest to retain the feel of Adams for that one issue and he did a wonderful job. This Ghost Rider issue is not of that caliber, but it is surely a cut above what Heck was normally doing and that is because of Newton's inks. Unlike the Starlin pencils on the Defenders, Newton left Heck's pencils alone, so that the result is more Heck than Newton. Still, the combination is interesting and the book is a milestone in the career of Don Newton in that it represents the first full book of work by him for Marvel. The splash page for Ghost Rider #23 shows the hand of Don Newton in all but the background characters. By page 11, Don was really reworking some of the faces. Still, Heck's pencils are very evident. The stark lighting on page 16 is most certainly Newton's doing, although the poor coloring lessens the impact. 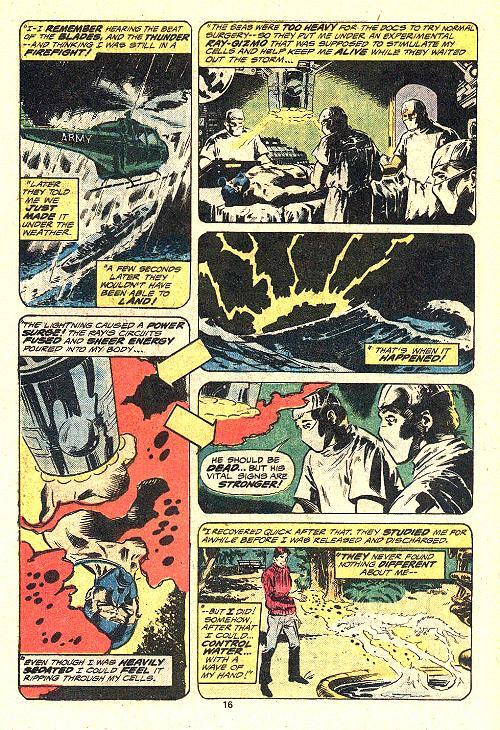 Page 17 is obviously a Don Heck page, but bits on Newton poke through here and there. There are nice bits of Newton on page 22, in the background characters and the Johnny blaze figures in panels 3 and 6. 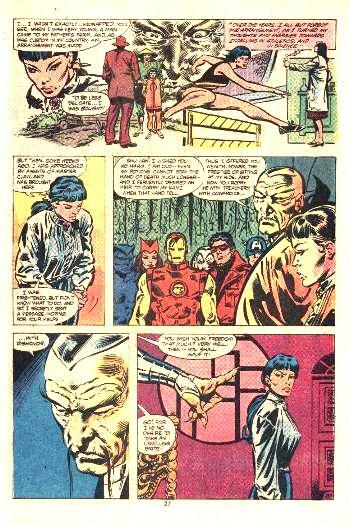 In 1977, in between his Phantom work at Charlton and his career at DC, Iron Man Annual #4. Don inked a filler story of the character Midnight (from Shang-Chi). The story is obviously an artist try out as the penciler is Jeff Aclin, who I am told had only a short career at Marvel. The 5-page story, "Death Lair!" is written by Roger Stern. 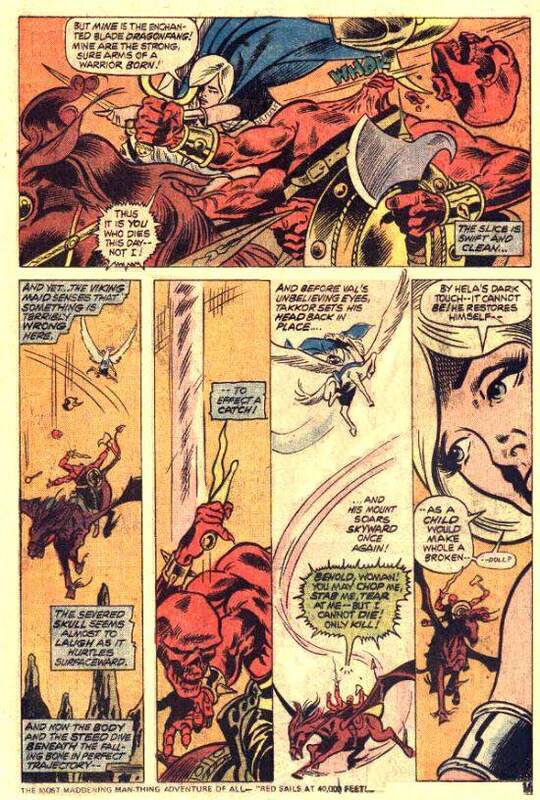 The art is pretty pedestrian, containing a lot of John Buscema swipes and not much energy. It doesn't help that visually, Midnight is such a bland character. If the book did not say it was inked by Don, I never would have guessed it. There is not much anyone could have done to help this artistic effort. However, to be fair to penciler Aclin, having only five pages to show your stuff must have been a real strain. I am still looking for copies of other books Don inked during this period. When I get my hands on the books, you'll see the results here. About this same time, Don was beginning to become disillusioned with Marvel. Not only did he like the DC characters better, but he found the "style" of the two companies to be almost direct opposites. While DC relied on characterization to drive their plots, Marvel seemed to focus on fight scenes. Don's talent was better suited to the character-driven plots at DC than the action-driven plots of Marvel. 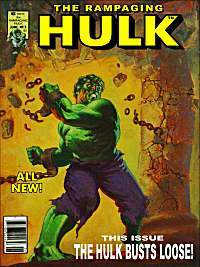 In 1979 however, Don returned to Marvel to produce his best work there. The Avengers Annual #9, 1979, features 34 pages of Don's pencils and sports a Newton/Rubinstein cover to boot (Don's only comic cover for Marvel). " --Today the Avengers Die!" was written by Bill Mantlo, penciled by Don and inked by Jack Abel and Joe Rubinstein. It also features some nice coloring by Carl Gafford. The book is divided into two parts, each 17 pages in length, with Abel inking Part I and Rubinstein inking Part II. They are like night and day. Jack Abel's stiff, minimal, yet overpowering style, was totally unsuited to Don's detailed, flowing pencils. Yet, had Rubinstein not inked the second half, you might have been satisfied with Abel's work, because Don's pencils are very nice. Joe Rubinstein became Don's favorite inker with his work on the second half of this book. Joe's clean, powerful style, let the details in Don's work shine through, while adding a "glossiness" to the pencils that other inkers could not. This is mighty powerful stuff and much better than the Rubinstein inks that would grace Don's final Infinity Inc issue at DC, six years later. This is really great Newton art. Part II opens with a beautiful splash. I think Don really enjoyed drawing Thor after all these years. Don had done a couple of Thor renditions as a fan. Some really nice work with the Vision here. Notice how the art is improved by the inks and the great color job by Carl Gafford. Besides the Vision, Thor and Iron Man, the issue featured Captain America, the Scarlet Witch, Wonder Man, the Beast, Hawkeye, and Yellowjacket. Iron Man and Captain America teamed up to take on Arsenal. It took a long time for us to see Don's Cap, but it was worth the wait. Iron Man was central to the story. 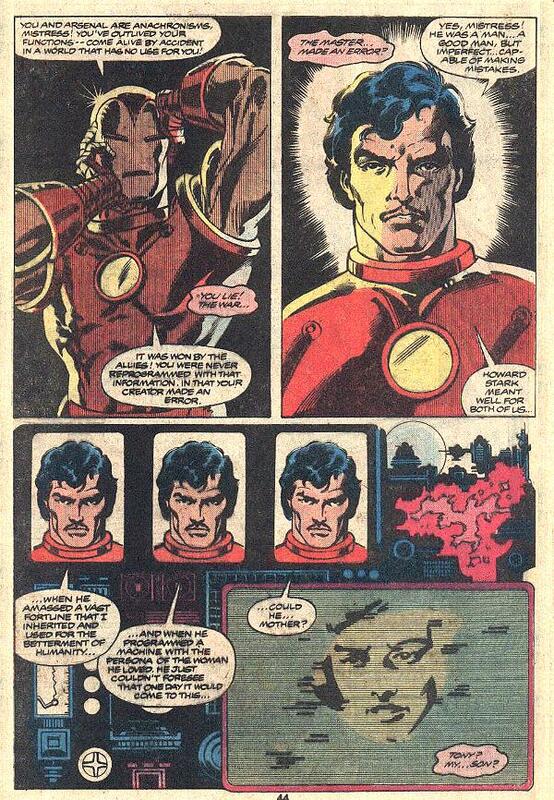 Here Don shows that not only could he draw an impressive Iron Man, he was also no slouch on Tony Stark. Here is a page shot from the original artwork which happens to be part of my personal collection. Love those Rubinstein inks! Don Newton fan Carsten Larsen has a unique hypothesis regarding this book. He writes, "Neil Hanson mentions 'a storyline that began in Iron Man, the issues of which I cannot recall.' Contrary to your allegations about Marvel being just mindless action 'while DC relied on characterization to drive their plots,' Iron Man had great continuity in those years and it would be hard to limit the storyline further than to # 113-119, but Arsenal’s active role is limited to # 114. The funny thing about that issue (apart from it being one of the places where Keith Giffen was misspelled) is that it ends with the promise that 'Arsenal will return in an upcoming issues of Avengers!' 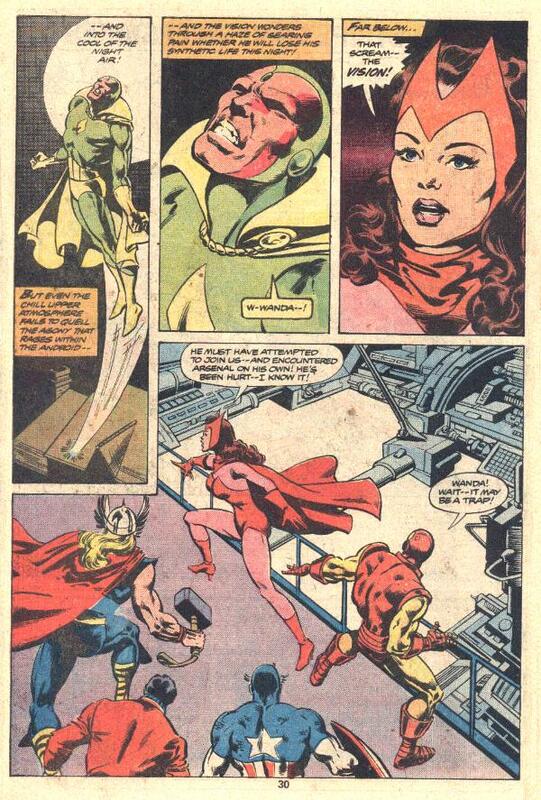 -not, mind you, Avengers Annual, but just Avengers. This makes it very likely that Newton’s annual was originally intended for two issues of the regular Avengers book, especially since it’s divided into two 17-page chapters (the normal length for regular books at the time) and finished by two different inkers. Only the fact that Avengers # 204 came out two years later at the now-normal 22-page length keeps me from theorizing: though you may be able to you do not substantiate that Newton actually drew this story in 1981...inventory is a very common practice in the business, and the length of time it’s been lying on the shelf is not necessarily proportionate to the care lavished upon it in the inking stage." "Don actually quit DC in 1979 to join Marvel. Marvel was guaranteeing Don a higher page rate for his pencils, as at that time, Marvel often paid "premium" artists a higher rate to get them to work there, and considered Don in that class. Don was given the assignment as the regular penciler on the Avengers. He was really thrilled that Marvel had promised him that Joe Rubinstein would be his permanent inker on the Avengers. 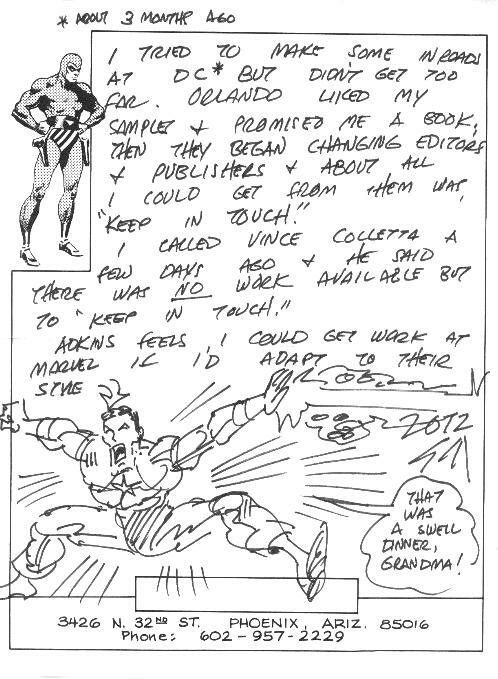 Joe was Don's favorite inker at that time. 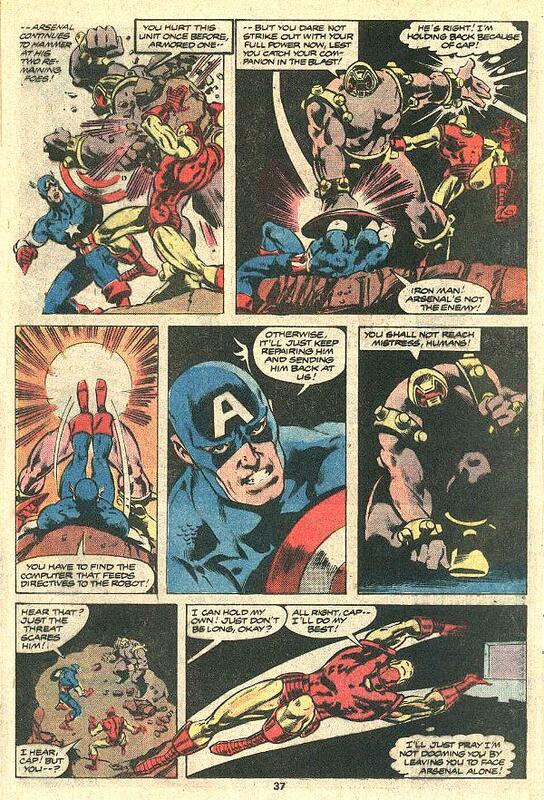 Don wanted to draw Captain America at Marvel, and the Avengers was the best they could do to fill that request (I think John Byrne or someone was doing the book at the time). Don wasn't too thrilled about doing a team book, but went after the assignment anyway, figuring he would have a run of comics inked by Rubinstein, which excited him quite a bit. Don finished two issues but did not have the script for a third issue in hand. Don was in many ways insecure in his career, always worrying about where the next work would come from and he liked it when he had his next assignment in hand as he worked on his current one. He was promised more Avengers scripts from Marvel, but Marvel did not schedule work in the same fashion that DC did (they were much less organized, for one), and it resulted in a delay of incoming work for Don, something that he had never faced before at DC. 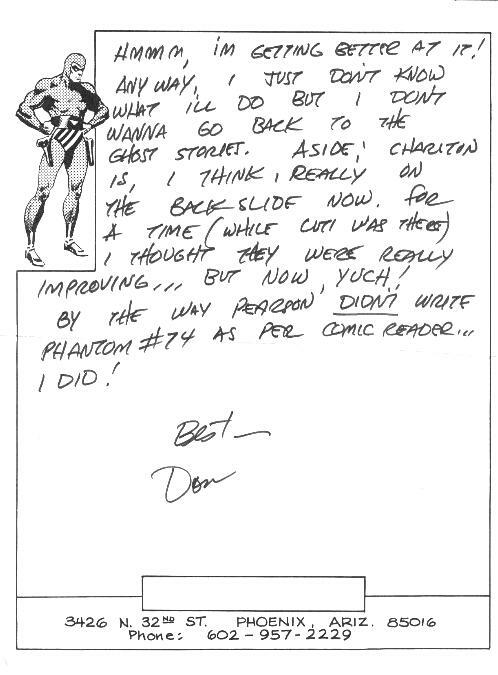 DC would always fill Don's time with a backup story or something else in the case of a script delay, so Don never would stop drawing, and the editors at DC were very good about keeping up regular communication with him. Don always figured he could pencil about 1 and 1/2 comics pages per day, and wanted scripts there to allow him to keep to that schedule. When this did not happen at Marvel, Don panicked. Don contacted Paul Levitz at DC and re-upped his contract with them, writing off the Marvel experience as something that just didn't work out. A few days later Jim Shooter called, said there had been a mishap in the office and that his messages had not reached him until that day, but that all was fine and the next script would be to Don shortly. Don informed Jim that it was too late, that he had signed a contract with DC in the mean time and was going back to Batman and such." 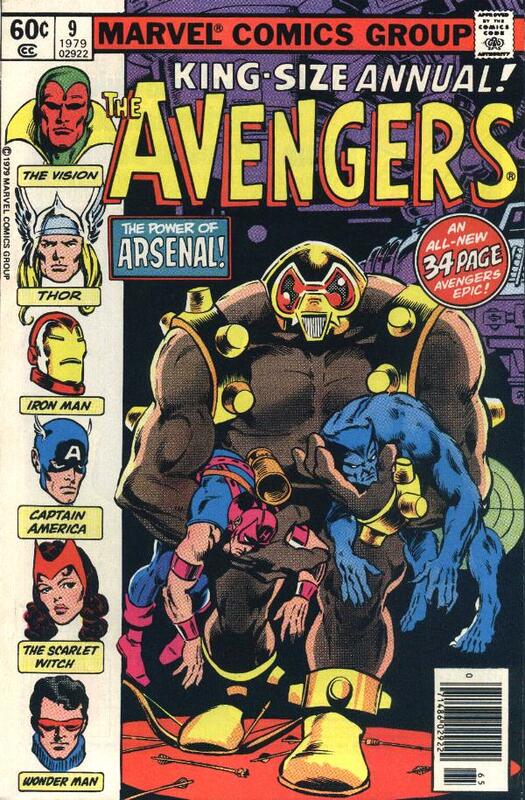 Don's two issues of the Avenges did become Avengers Annual #9, half of which was inked by Rubinstein." How this all ties in with the other bit of work Don did for Marvel I don't know, but in 1981 he did one more issue of The Avengers. Issue 204 featured a plot by Jim Shooter and Budiansky and a script by Dave Michelinie. Don did the pencils and Dan Green did the inks on the 22-page story. The results were, for the most part, dreadful. Don's wonderful style is almost non-existent in this book as Green attempts to turn Don into another in a long line of boring Marvel artists. There are occasional moments of Newtonistic style in the book and it does get better as the book progresses, as if Green got tired of suppressing the pencils. Look at page five of the story to your right, in particular the first two panels. The anatomy and the faces show no signs of Don's work. Sal Buscema could have drawn this page. This is a total corruption of Don's pencils and when you look at the work Rubinstein did two years earlier, so very unnecessary. However, by the time we get near the end of the book, you can start to see that Don Newton did do the pencils. I think page 20, to your right, is the best in the book. The Yellow Claw is clearly a work of Newton as is the anatomy of Iron Man in panel three. The clothes of Shu Han in panel two show signs of being penciled in great detail and even though a lot of this detail is wiped out by the inks, you can still see that it was there to begin with. Why Marvel used and abused Don in this manner I don't know, but I certainly don't blame him for not sticking around for more abuse from "the house of ideas." While Don had his share of bad inkers at DC, none of them, not even Alfredo Alcala, so totally removed Don's style the way Green did. Don't get me wrong, I do not have a problem with Dan Green as an inker, only as an inker of Don Newton. "Again, Don's second time of leaving DC was partially due again to the money being offered by Marvel. An additional factor was Don feeling as though DC did not respect him as much any more, or were taking him for granted more, as he started to notice a number of things that concerned him: 1), he was given poorer inkers more often, which really bothered him; 2), DC had "written off" his Captain Marvel by this point, and he had started to feel as though he might be more expendable to DC than before; and 3), Don was angry that some promises from Levitz to get high-paying advertising and film artwork had never come to fruition (the Batman film had been announced at this point, and DC was involved in some preliminary artwork, none of which was used in the Burton film. Don was given none of this work by DC). Shooter had continued to contact Don to attempt to get him to do work for Marvel, and had also gone as far as to ask other Marvel artists to call Don to entice him over to working at Marvel again. I can remember sitting at Don's townhouse with him when Val Mayerick called him up, someone that Don had never spoken to before. Val had called to tell Don that he liked his work a lot, and also noted that they both had an interest in weight lifting and boxing. Mayerick also shared with Don that he was almost a black belt in karate, if my memory served me correctly. During this phone call, Mayerick suggested that Don give Jim Shooter a call and try working for Marvel again. Don turned out to be receptive and did just that. You are very correct in your disdain for Dan Green's inks over Don's work on this issue of the Avengers. 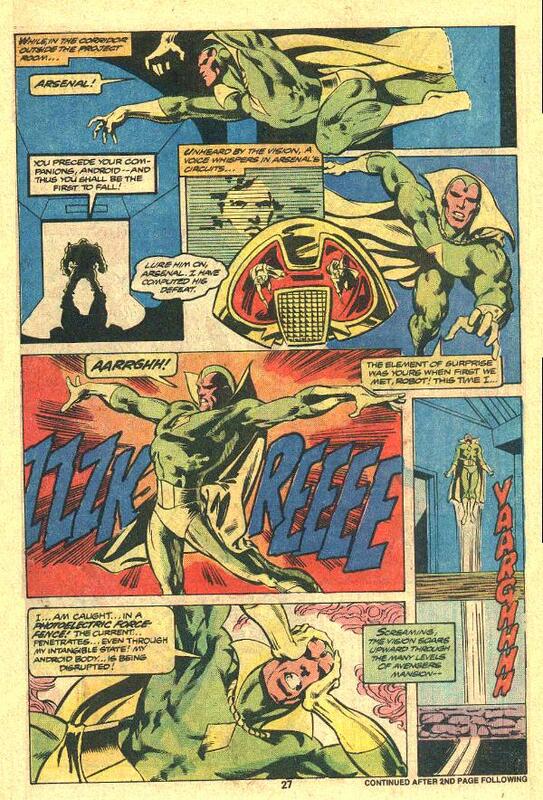 I think that Green may have had to rush on the job due to Marvel's notoriously poor scheduling habits at the time, but I don't know that for a fact; I just know that what was penciled was not inked in the final product. Having seen the original artwork for the pencils (which were great, even though Don didn't like the story much), much of what Don drew was redrawn or heavy-handedly inked by Green in the final product. Don absolutely hated the job. He had wanted Joe Rubinstein (which was, truth be told, almost as much incentive for Don to work at Marvel as the additional income offered), and got someone worse than he had experienced at DC. The ink line that Green used was incredibly broad, and the brush work that he chose to use on the figures was usually done in a way that simplified Don's work, eliminating a lot of the fine cross-hatching detail that Don always used to shade his figures. The change in both of these situations made many of the figures no longer even resemble Don's work. On top of that, either Green or someone at Marvel (Don always suspected John Romita, due to Romita's earlier comments that had made their way back to Don through Adkins) had literally redrawn figures in the book, making them no longer Don's work. I have no idea why this was done, and Don never found out why either. During the time that Don was drawing this second attempt at the Avengers book, Paul Levitz contacted Don and told him that he would promise him some additional advertising artwork, should Don return to DC. After the disastrous Avengers job by Green, and the lack of scheduled work for Don again from Marvel, Don agreed to accept a new contract with DC. Once this was done, DC included Don on the work for the POST cereal comic books, which were little comic books that were included inside each cereal box. Don loved the work as they were easy to do and paid very well. He was happy again with DC." 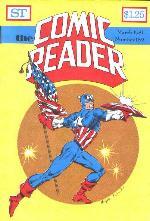 Not really a Marvel piece, more of a fan illustration, is the cover to The Comic Reader #189. Penciled by Don and inked by Joe Rubinstein it is another example of this fine artistic team and it is a Marvel character, Captain America. So we begin and end this page with Captain America illustrations by Don that never appeared in Marvel publications. Jay Willson tells us that all of the Comic Reader images that Don drew were done so that he could receive the magazine free from Street Enterprises, the publisher of CR at the time. Don usually did one cover a year for them in pencil (although the earlier covers that he did were inked as well), and after doing the covers for a few years, Don started to do them after working out a deal with an inker that he wanted to work with, who would ink the cover for the same reason. He would run into inkers at a convention or something and say, "why don't we do a Comic Reader cover together?" 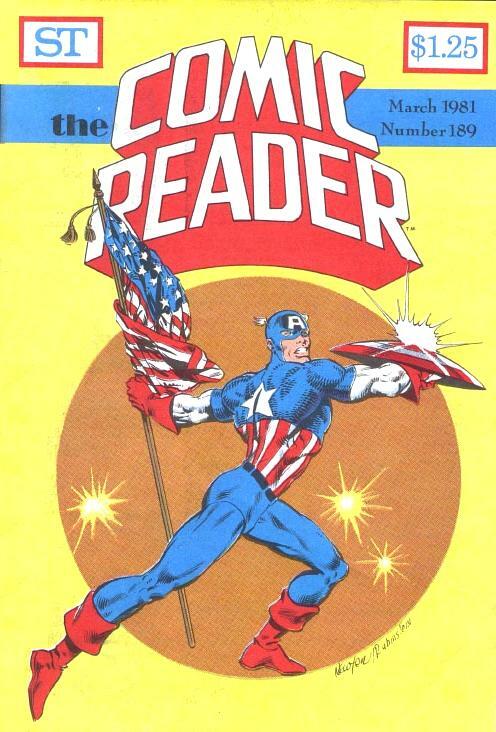 Both the Captain America cover inked by Joe Rubinstein and the Green Lantern cover inked by Terry Austin were done in this manner, as both inkers were primarily Marvel inkers at the time, and therefore would not likely have much of a chance to ink Don's work. Don was very pleased with both covers once he saw the finished drawings. 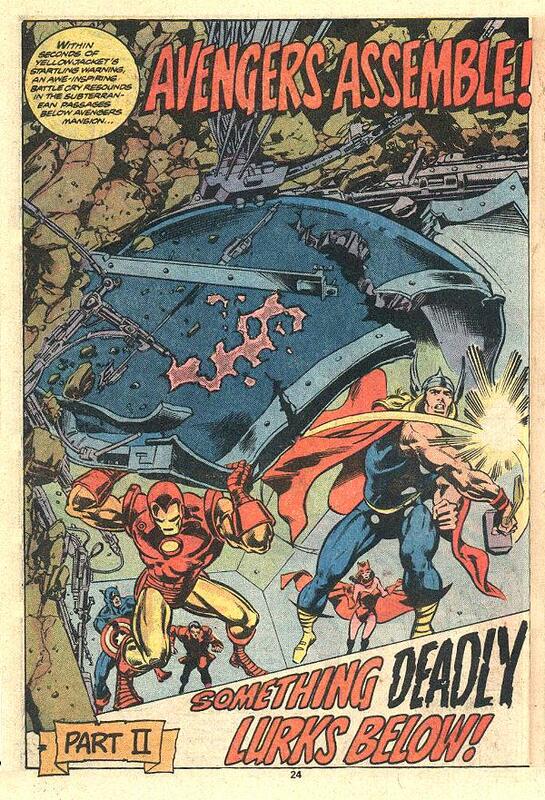 It has been reported in some places that Don penciled Avengers 205, but this is not the case. Besides the afore mentioned Master of Kung Fu books, this is all the information I have on Don at Marvel. If I am missing something and you know about it, please let me know (that is what the Corrections link to your left is for). I know there are a lot of Marvel fans out there and I would like to get more examples of Don's work at Marvel on this page.